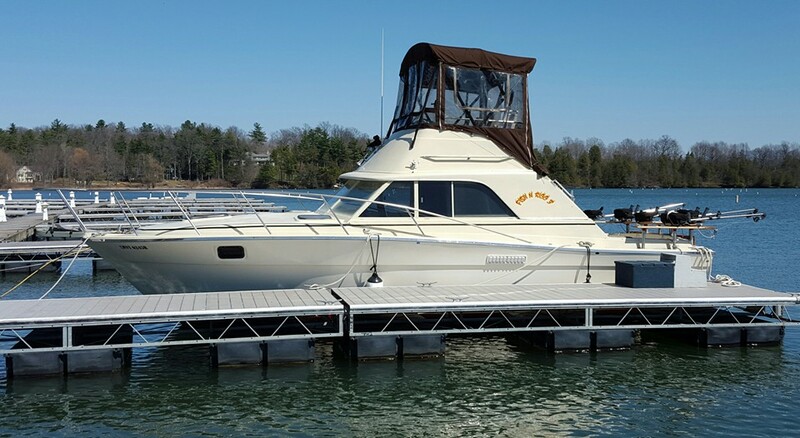 fishnrigg is a 31ft long 12 foot wide Silverton Flybridge with a full bathroom and all fishing equipment on board to have a great day on Lake Champlain Vermont. Important information to include: Contact information, date of trip and how many people in your party. 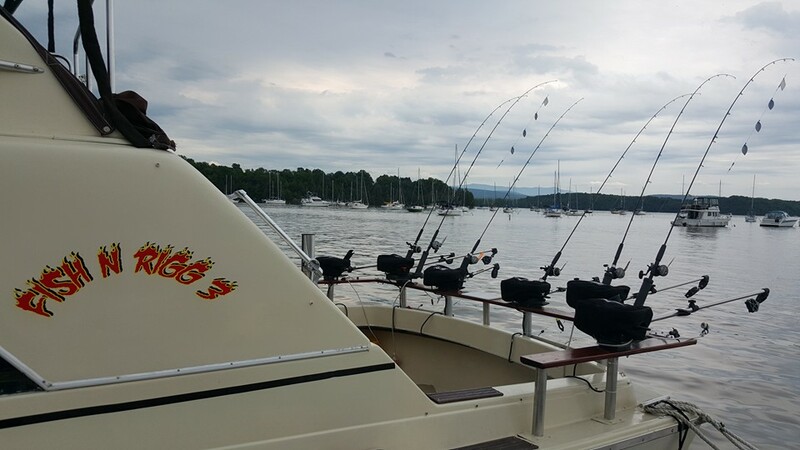 Welcome to Lake Champlain, one of the country’s top fishing and scenic spots! Together with 28 year USCG licensed Captain Bill Gregorek you will be fishing for SALMON, LAKE TROUT and RAINBOW TROUT. Our rates are very affordable; 1-5 people can fish 4-8 hours of actual fishing. Call or E-Mail for current rates. We GUARANTEE fish or you can choose another trip at no charge or your money back! Reservations are required. Fish N Rigg Charters is available for fishing charters and scenic tours all year depending on the fishing and the weather.